Every day, tons and tons of rubbish and waste are being produced. And at this rate, if not for rubbish removal services, the whole world might even be all covered by rubbish. Streets would be derelict, rivers would be polluted, and burning rubbish may even destroy the ozone layer. Rubbish removal is the solution for all this. You can fill up your garden bags with rubbish, but without rubbish removal to take them away, you will just let your rubbish fester and produce offensive odour that can be a breeding ground for disease carrying pests. The most obvious benefit that we can get out of rubbish removal services would be the convenience of having someone to take care of your rubbish for us. Without rubbish removal services, you would have to go out and take your rubbish to a specific place where you can throw them. Although this can be a simple solution, some people don’t have the time to do it and things may come up that will hinder you from doing your rubbish removal. 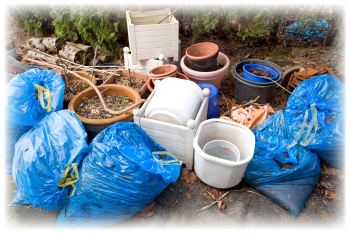 This is just one of the many benefits that you can get out of rubbish removal. By removing rubbish from your place, you are reducing the risk of having an infestation of disease carrying pests and offensive odour build up from your rubbish. Another benefit we can get from it is that most rubbish removal companies have their own recycling process for the rubbish they collect from their customers. This is one major benefit we can get from rubbish removal and it’s an eco-friendly solution at that. Imagine having all your rubbish recycled and reused. This would mean a lot since it can help in reducing the waste that is the main cause for pollution. These recycled materials are either given to institutions or used as fertilizers for crops. There are a lot of things you can come up with when recycling your rubbish. Rubbish removal is really a very helpful service that not only helps us with tidying up our rubbish and waste, but can also help us better our lives through the many things they do. Aside from making our lives a lot easier by getting our rubbish for us, they also do mother earth justice by reducing waste and recycling the rubbish that they take from us. So if you are looking for the best way to tidy up your rubbish, hire a rubbish removal service near you.